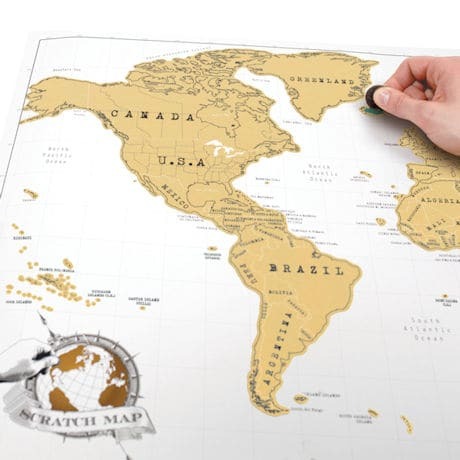 Chronicle your past adventures—or map out future excursions—with our Scratch-Off World Map! 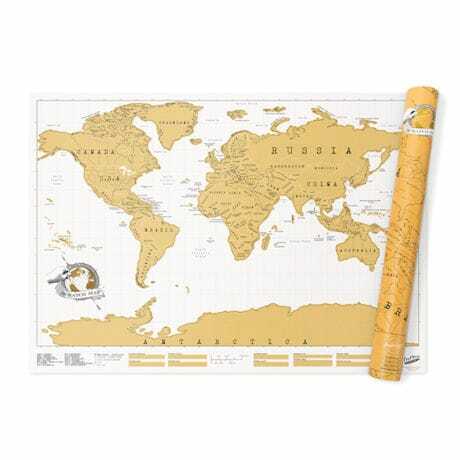 Measuring about 32½"x23½", the poster depicts the world in glimmering gold; simply use a coin to scratch off the foil and reveal every country (and U.S., Canadian, or Australian state, province, or territory) that you've visited. The result: a colorful map of your rambles around our remarkable world. 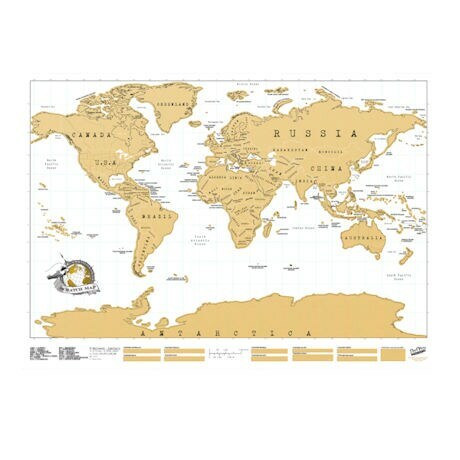 Treat yourself to this clever keepsake (which also includes fun global facts and travel tips) or gift it to the intrepid traveler you know!